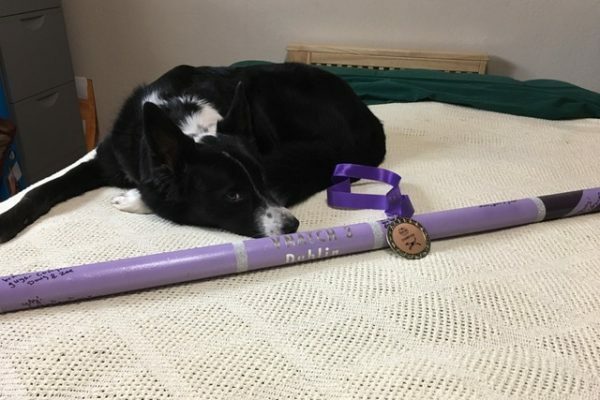 Congratulations Marcy Matties and Dublin! 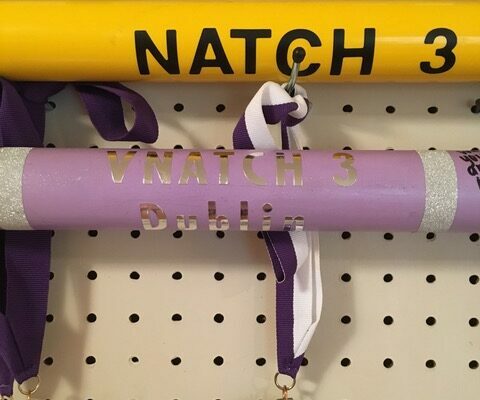 This accomplished team received their V-NATCH 3 bar at the K9X NADAC trial in March, and we are so happy for them and proud of their hard work to achieve this milestone! 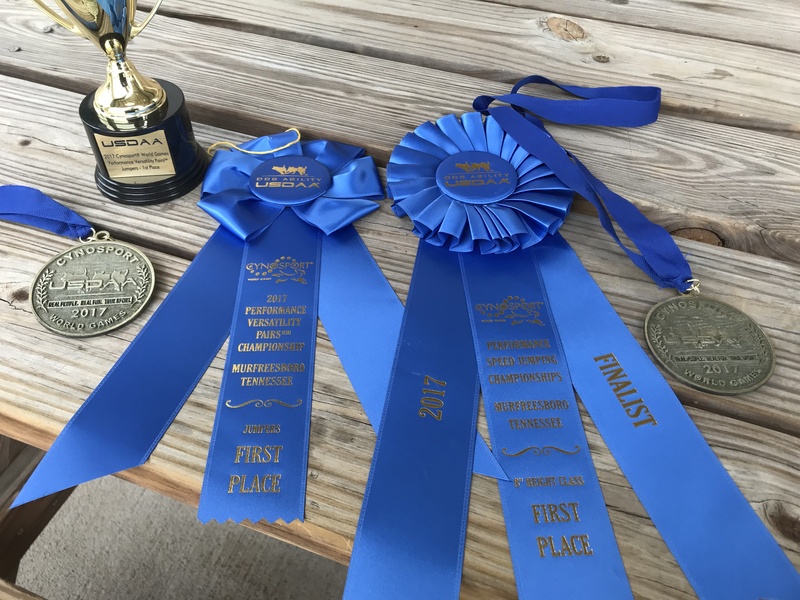 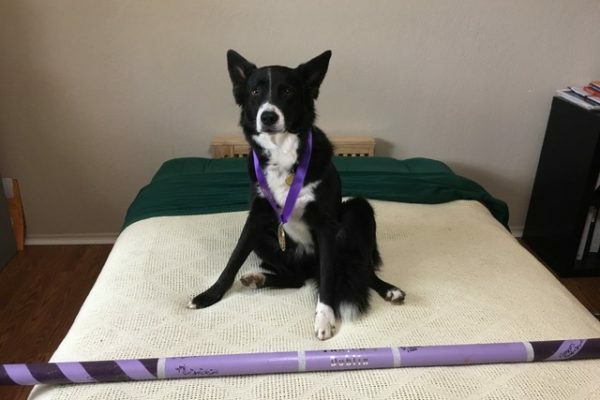 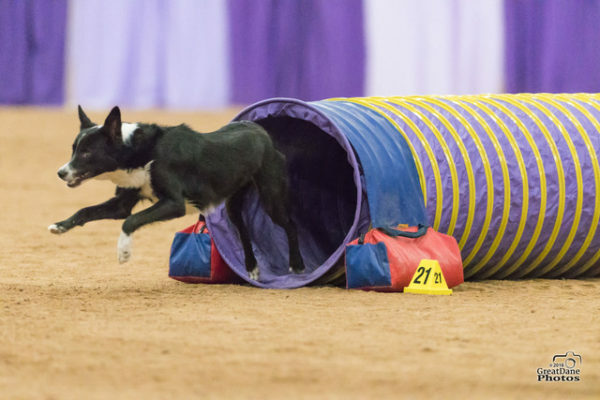 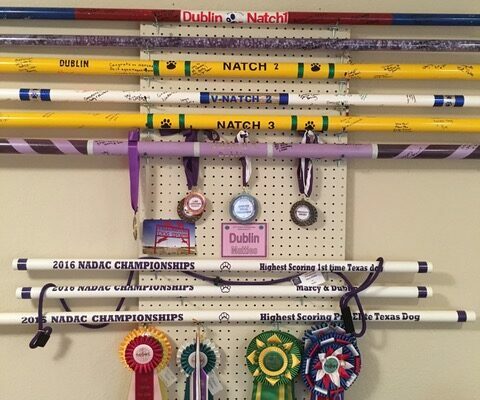 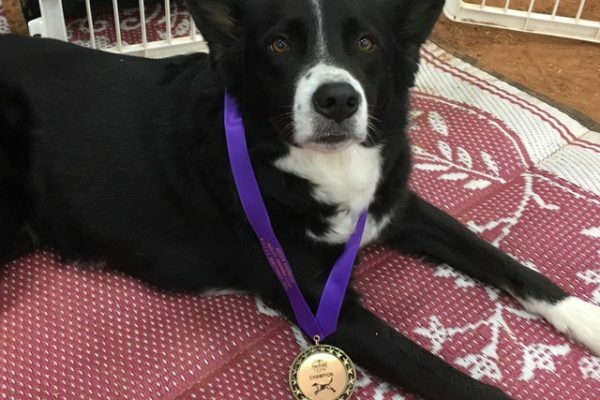 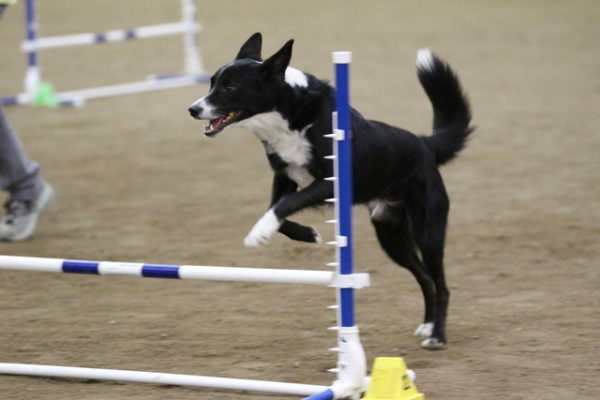 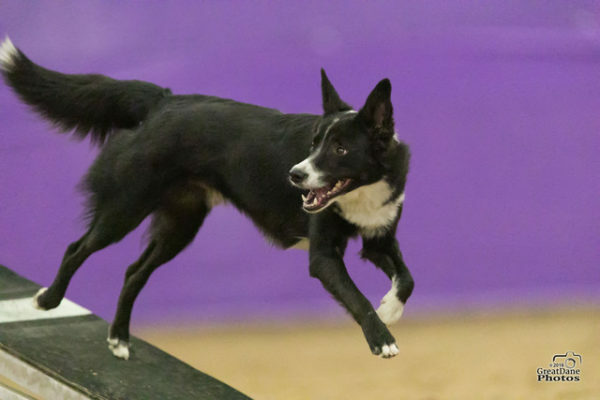 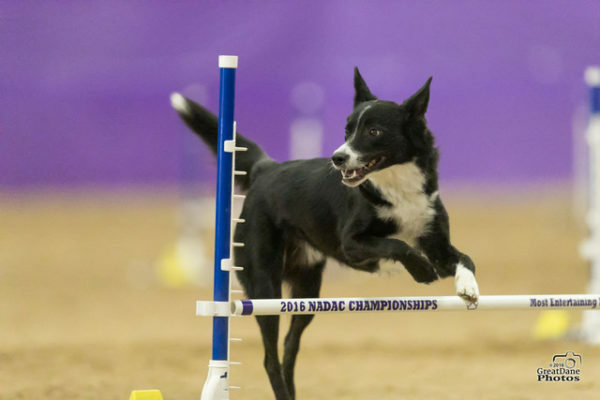 Check out Dublin having fun at his trials, and the wall of awards he and March have earned – what an awesome achievement!